Are you looking to buy Ripple Coin in India? Ripple (XRP) is the most sought after cryptocurrency among Indian Investors in recent years. But Most of the Indians find it difficult to buy Ripple. 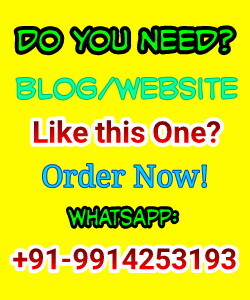 You will find different ways to get Ripple in India from different sources. Here is my go for it. There are mainly two ways you could buy Ripple (XRP) in India. 1st way is to buy Ripple coin in India using Indian Cryptocurrency exchange platforms and the 2nd way (recommended) is to buy Bitcoins at first and then convert them into the Ripple. I will discuss these two ways in detail. To buy Ripple Coins, first ensure you have a good Wallet where you can store it. GateHub is one of the best wallets for this. You can directly buy Ripple coin from Indian Exchange BTCXIndia, BuyUCoin, and koinex etc. BTCXIndia is India’s first official crypto-currency marketplace. Ripple Labs has partnered with BTCXIndia to buy and sell Ripple coins. This platform offers well for long time investments. Here is your Step-by-Step tutorial to buy Ripple directly from BTCXIndia. Go to www.btcxindia.com and click on create your account button. It will verify your phone number and your e-mail id. Make sure you have a different e-mail id for this. After getting verified, you will get your client id which you have to remember for log in. You can save this id at some safe place for future log in. The next step of the process is to get verified your KYC- “Know Your Customer”. You require your PAN CARD and AADHAR CARD for this verification. But this process is quite slow. You have to wait patiently to get this done. It will take around 3 weeks. 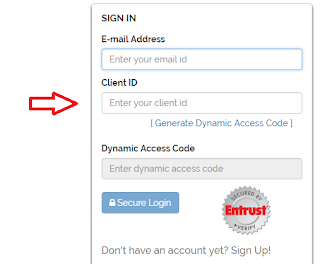 Once your KYC has done, you can login using the client id and e-mail id. A dynamic access code is sent by SMS on your verified phone number. You have to enter that code to log in. Now, you can do INR deposits by IMPS and NEFT. The minimum amount for INR deposit is 10,000. You have to deposit it at the wallet option, fill in the details on the deposit submission page. The NEFT and IMPS transaction takes 5 weekdays to credit the funds in your BTCX wallet. You can buy Ripple (XRP) from the Trade option. Nowadays, Indian exchanges are not taking new users and take too much time in verification so that's why buying BTC and converting them into Ripple is the best option you should select. BTCXINDIA has huge backlogs of INR and XRP deposits, so they stop taking funds. There are other options like BuyUCoin and koinex also available in India. BuyUCoin is another exchange to get Ripple in India. But this platform also uses the same process. It verified the KYC and other details first. Then you can do trading in crypto-currencies. Koinex is also the safe platform to buy Ripple. It creates and verifies your account, provide a secure wallet. It is a bit faster than BTCXIndia.com. But I recommend you to go with the second method. That is easier and faster than directly buying Ripple in India. You can easily buy Bitcoins in India, or you already have them in your wallet. You can instantly convert them with very convenient fee and user-friendly interface of Changelly. Buying bitcoin and then exchanging them is rather easy, simple and fast way to get Ripple. You can easily buy BTC from Localbitcoins.com using Paytm or INR and then convert them into RIPPLE using changelly.com. If you want to buy Ripple as soon as possible, you should definitely go for this option. It also provides you the flexibility to keep both Bitcoin and Ripple at the same time. There are many exchanges to buy Bitcoin in India. Some of them are UnoCoin, Zebpay, Coinsecure, and LocalBitcoins. LocalBitcoins is recommended. LocalBitcoins is a peer-to-peer exchange that means you can directly buy Bitcoins from the buyers of your own country. You don’t have to approach any centralized company. This is a faster method to buy Bitcoins. Here is your Step-by-Step tutorial to buy Bitcoins from Localbitcoins and converted them to Ripple. Click here to open LocalBitcoins homepage. First, you have to sign-up with your e-mail id. After Registering and verifying your e-mail id, you get a secure online wallet. Log in and fill up the search box the amount, location and the payment method. Select the bank transfer method you want to buy bitcoin and click the search button. You have a list of sellers to choose from. Choose a seller according to your needs, good reputation and the amount he has to trade. Once you ensure all the information of the advertisement, you can start the trade. Type in the blue box the amount you want to buy, and leave a message for the seller. Now you could pay before the payment window is over. Once your payment is verified by the trader, you will get your Bitcoin in your LocalBitcoin Wallet. Let us do this by following the further steps. Changelly is the simplest exchange site with a user-friendly interface. You just have to select the currency that you want to exchange. Click on the exchange. After exchanging, enter the wallet address and click on the next button. Confirm and make payment. This is the final step to get Ripple in your wallet. It is a faster method; you get Ripple in just a few minutes. You can monitor your transaction on the dashboard any time. That’s why I recommend you to go for the second method to buy Ripple in India. And get your Bitcoin convert to Ripple instantly from changelly.com. There are many exchange platforms available to convert BTC into Ripple. But I recommend you to go to Changelly. It has better fee structure and is same for all types of currencies. Ripple is a good investment, and to buy Ripple in India the second method is a good way to go with. 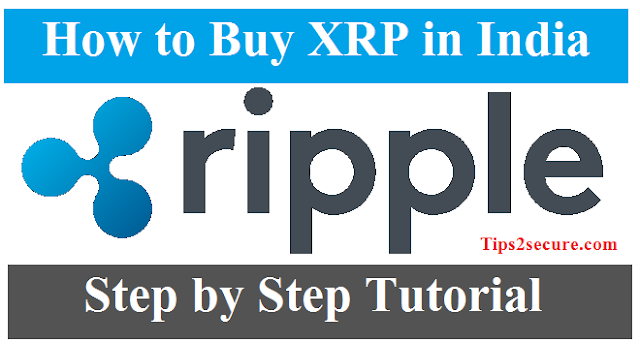 Message: I hope that you have enjoyed 'How to Buy Ripple (XRP) Coin in India - Step by Step Tutorial 2018' article on Tips2secure. However, if you want me to deliver more items, then please share my post. You can use Social Sharing Widget provided at the end of every post. After all, Sharing is Caring!